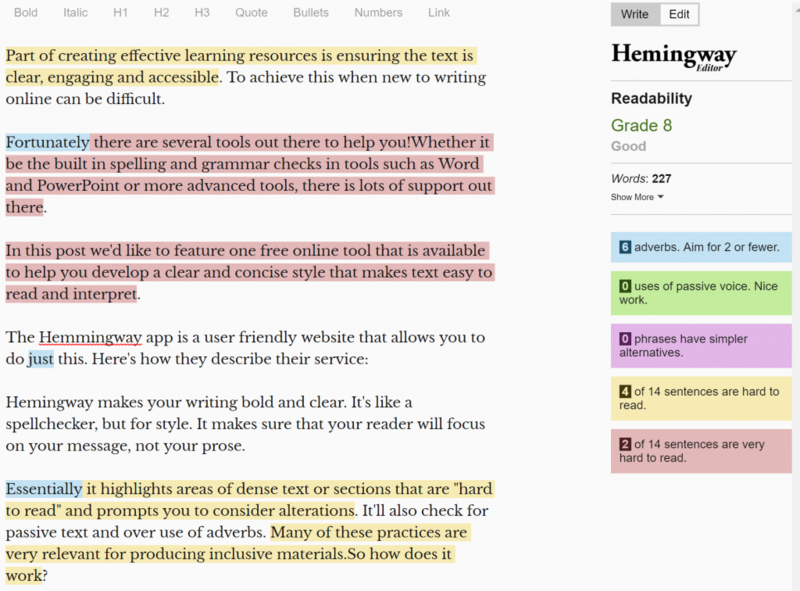 Ensuring written text is clear, engaging and accessible is important when creating resources. To achieve this when new to writing online can be difficult. 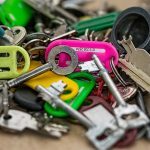 Luckily there are several tools out there to help you! Spelling and grammar checks in Word and PowerPoint are a great example. 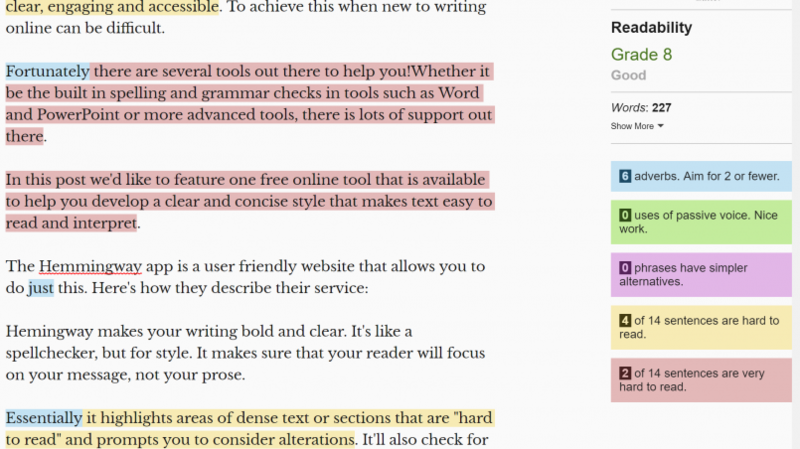 It highlights sections of text that are “hard to read” and prompts you to consider alterations. It’ll also check for passive text and over use of adverbs. Many of these practices are very relevant for producing inclusive materials. As you can see there is work for me to do in improving my style! I would like to say I wrote the draft this way to show how the app works however, dear reader, I feel this may be a fib. So instead I used the app to redraft the post and with just some small tweaks really tightened up what I was trying to convey. 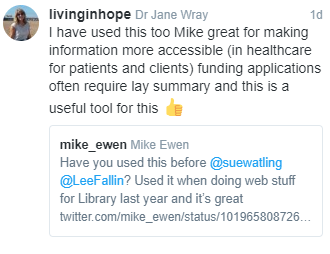 Another fantastic use of the tool that was flagged up by Dr Jane Wray on Twitter was in writing a lay summary for article posts!